For more information about neurology services offered at Fort Sanders Regional Medical Center, please call (865) 673-FORT. As a neuro-spine Center of Excellence, Fort Sanders Regional offers the latest advancements in neurology, neurosurgery, spine surgery, and neurointerventional radiology. Neurologists also help patients with back and neck pain, dizziness and vertigo, pain management and sleep disorders. Our neurologists sub-specialize in migraines, epilepsy and other seizure disorders, sleep medicine and neuromuscular issues and have extensive training. Neurologists work closely with physiatrists from the Patricia Neal Rehabilitation Center to maximize recovery from stroke and traumatic brain and spinal cord injuries. The area’s first accredited sleep center also features neurologists who specialize in sleep medicine. At the Fort Sanders Sleep Disorders Center, neurologists work with patients who suffer from a host of sleep/wake disorders including sleep apnea, insomnia, narcolepsy, and restless leg syndrome. Neurosurgeons provide surgical intervention for brain tumors, aneurysms and hemorrhages, as well as a host of spine conditions. Neurosurgeons provide surgical relief for a host of issues caused by nerve and muscle diseases, carpal tunnel syndrome, chronic back pain and conditions resistant to medical management, like Parkinson’s disease. Our neurologists, neurosurgeons and our neurointerventional radiologist work together to determine the best approach to treating each individual patient. Whether a patient needs medical intervention, surgical intervention or neuroradiological intervention, you will receive the very best care. 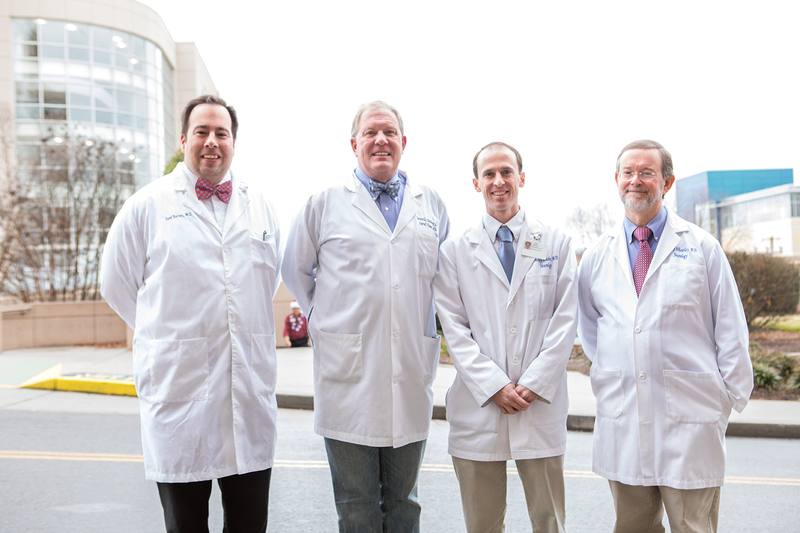 We are pleased to welcome the neurologists at Knoxville Neurology Specialists to Fort Sanders Regional Medical Center and Covenant Health.